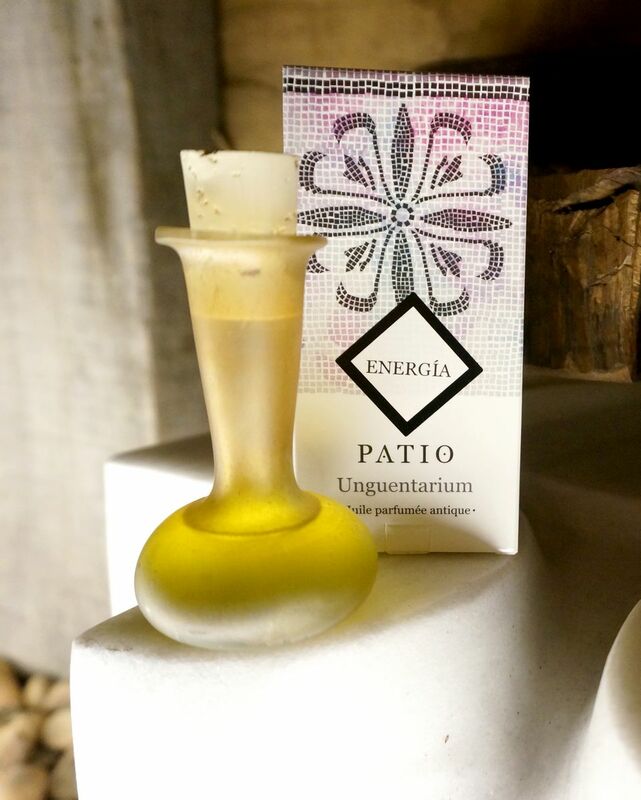 Discover our new Patio creation: Unguentarium, antique fragrance oil. Unguentum was the first perfume in history obtained by maceration of herbs in vegetable oil, was used by Mediterranean civilizations for hygiene and beauty rituals after the thermal baths. Rediscover this mythical oil in its original artisanal blows glass bottle of Hebron. Our collaborative project with small-scale factories in Hebron contributes to the development of this region and maintains this precious tradition.